In this page, we will discuss the different order options you have to choose from as an online Forex trading investor. The most important thing is to keep your online Forex investing simple. Find out which types of orders your online Forex broker accepts and build your online Forex trading system accordingly. By practicing performing the different orders over time, you will develop your online Forex skills and be a better investor. This is why it is important to stick to a few online Forex actions and master them, Keeping It Simple to trade in online Forex. An online Forex market order is an order to buy or sell at the current online Forex market price. This means you are buying one currency and at the same time selling a different currency. 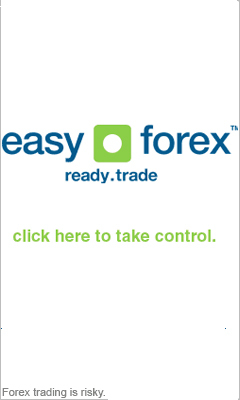 This is the most common order to place in the online Forex site. An online Forex limit order is an order where you are specifying a certain price to buy or sell online Forex currencies. Here you determine at what value to realize your buying and selling of the currency. When your currency reaches that number, the buying or selling will take place. For example, if you buy an online Forex currency for a limit order of $4, and the currency is currently worth $3, the transaction will be executed only when the currency reaches $4. An online Forex limit entry order means you state a certain value you wish to buy/sell upon, just like in regular limit orders. The difference is that the buying or selling is executed only when the exchange rate touches, but not breaks, the specific level you decided upon. Before making a limit order, decide if it's the right currency limit price to set through Technical Analysis. If for example a currency is $4, and you specify a limit entry order of $5, but the currency keeps rising in value to $6, this online Forex transaction will not be executed. If the same currency drops after reaching $5 it will be executed. This is a very important feature for the online Forex investor. A stop-loss order means your currency will be sold if falls bellow a certain value, to protect you from having additional losses. The stop-loss order is sustained and is effective until the currency is sold or the stop-loss order is cancelled by the client. An example for a stop-lost order is if you buy a currency for $4 and have a stop-order of $2. If the currency value drop to $2 or bellow, it will be automatically sold. An online forex take profit order is the opposite of a stop-loss order, meaning if the currency goes up and reaches a certain level, it is sold and profits are captured. Fore example, if you buy a currency for $4 with a take profit order of $6, the currency will be sold when it reaches $6. Online Forex traders that want to place an order need to click on the buy/sell button after specifying the chosen currency pair and the desired number of units to trade. The buying and selling price that is determined is the same as the price seen last in the site after updating the page. After placing the order, the trader is asked again whether to complete the transaction and approve the trade. The trade can usually be cancelled even after being approved. But this varies according to the specific site used. If you want to place a margin order, The process is quite similar to the one depicted before for regular trades.